susannahbean: Squeeking in an entry...! I completely forgot about this amazing AMAZING giveaway going on. Miss Violet Lace is a sweet Etsian who's shop is stocked full of the cutest and most believable wigs I have ever seen. Kaelah's gotten a few and I am so unbelievably jealous! I would love love love to win! 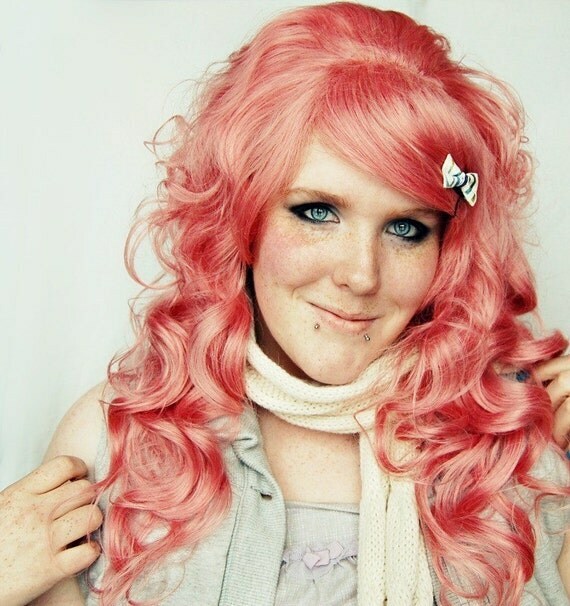 I mean, for real, this is legitimately the nicest pink wig I've ever seen. It looks totally real, even though it's bright pink!! All the other colors she offers are to die for, I wanna rock a turquoise one (though I don't see a full turquoise one in the shop), and I love the lavender ones too!!! Check out Kaelah's blog post about Miss Violet Lace and enter to win a wig!! HEYYYYY THEY DO HAVE TURQUOIS! thats what i want/scratch NEED in my life, i've been turqouis for my real hair and it is BEATIFUL for a day, then disgusting green the next. I want it so badddd!